This vehicle is located at Baxter Subaru 17130 Burt Street Omaha, NE 68118. Heated Leather Seats, Keyless Start, Hands-Free Liftgate, Back-Up Camera, Alloy Wheels, All Wheel Drive, Satellite Radio, Onboard Communications System, CD Player, iPod/MP3 Input. Limited trim. FUEL EFFICIENT 36 MPG Hwy/28 MPG City! AND MORE!KEY FEATURES INCLUDELeather Seats, Heated Driver Seat, iPod/MP3 Input, Aluminum Wheels, Lane Keeping Assist, Smart Device Integration, Heated Seats, Heated Leather Seats. Rear Spoiler, MP3 Player, Keyless Entry, Remote Trunk Release, Child Safety Locks.MORE ABOUT USBaxter Auto is a family-owned and locally-operated dealership group serving Omaha, Lincoln and Kansas City, supporting the vision of Talton (Tal) Anderson, founder of Baxter, created 60 years ago. Baxter provides superior customer service and quality new, used and pre-owned vehicles. Baxter became what it is today through the continued support of its loyal customers, employees, and the local community.Fuel economy calculations based on original manufacturer data for trim engine configuration. Please confirm the accuracy of the included equipment by calling us prior to purchase. Moonroof, Lane Keeping Assist, MOONROOF PACKAGE, AUDIO PACKAGE, Back-Up Camera, Aluminum Wheels. EPA 39 MPG Hwy/28 MPG City! SE trim, CELESTIAL SILVER METALLIC exterior and ASH interior. CLICK ME!KEY FEATURES INCLUDEBack-Up Camera, Aluminum Wheels, Lane Keeping Assist Rear Spoiler, Keyless Entry, Remote Trunk Release, Child Safety Locks, Steering Wheel Controls.OPTION PACKAGESAUDIO PACKAGE Radio: Entune 3.0 Audio Plus, Connected Navigation and App Suite, 8 touch-screen, AM/FM CD player, MP3/WMA playback capability, 9 speakers in 9 locations, auxiliary audio jack, USB 2.0 port w/iPod connectivity and control, voice recognition, hands-free phone capability and music streaming via Bluetooth wireless technology, Qi-compatible wireless charger, Scout GPS Link App w/moving maps w/3-year complimentary trial, Siri Eyes Free, Google voice controls, HD Radio, Entune App Suite, SiriusXM satellite radio w/3-month complimentary SiriusXM All Access trial, Gracenote album cover art, Entune 3.0 Toyota Connected Services, Service Connect w/3-year complimentary trial, Remote Connect w/6-month complimentary trial, Wi-Fi Connect Powered by Verizon w/up to 2GB within 6-month, MOONROOF PACKAGE power tilt/slide sunroof and moonroof. Toyota SE with CELESTIAL SILVER METALLIC exterior and ASH interior features a 4 Cylinder Engine with 203 HP at 6600 RPM*.VEHICLE REVIEWSGreat Gas Mileage: 39 MPG Hwy.WHO WE AREBaxter Toyota La Vista, a full-service Toyota dealership serving Omaha, offers new, used and certified pre-owned cars. We're part of Baxter Auto, the largest dealer group in Nebraska. Located off I-80 and Harrison StreetHorsepower calculations based on trim engine configuration. Fuel economy calculations based on original manufacturer data for trim engine configuration. Please confirm the accuracy of the included equipment by calling us prior to purchase. Heated Leather Seats, Blind Spot Monitor, Cross-Traffic Alert, Smart Device Integration, WiFi Hotspot, Satellite Radio, Back-Up Camera, Alloy Wheels, iPod/MP3 Input. XLE trim, WIND CHILL PEARL exterior and BLACK interior SEE MORE!KEY FEATURES INCLUDELeather Seats, Heated Driver Seat, Back-Up Camera, Satellite Radio, iPod/MP3 Input, CD Player, Remote Engine Start, Dual Zone A/C, WiFi Hotspot, Blind Spot Monitor, Cross-Traffic Alert, Smart Device Integration, Lane Keeping Assist, Heated Seats, Heated Leather Seats. MP3 Player, Onboard Communications System, Aluminum Wheels, Keyless Entry, Remote Trunk Release. Toyota XLE with WIND CHILL PEARL exterior and BLACK interior features a 4 Cylinder Engine with 203 HP at 6600 RPM*.EXPERTS CONCLUDEEdmunds.com explains On the highway, the Camry is comfortable and compliant. The Camry's big, comfortable seats, smooth ride and powerful climate control mean a pleasant experience for passengers of most sizes.. Great Gas Mileage: 39 MPG Hwy.WHY BUY FROM USBaxter Toyota Lincoln, a full-service Toyota dealership, offers new, used and certified pre-owned cars. We're part of Baxter Auto, the largest dealer group in Nebraska. You can shop the complete lineup of new Toyota models in our showroom or walk our lot to browse our selection of used vehicles.Horsepower calculations based on trim engine configuration. Fuel economy calculations based on original manufacturer data for trim engine configuration. Please confirm the accuracy of the included equipment by calling us prior to purchase. Laredo E trim, Bright White Clear Coat exterior. Dual Zone A/C, Keyless Start, Blind Spot Monitor, Smart Device Integration, ENGINE: 3.6L V6 24V VVT UPG I W/ESS, Alloy Wheels, QUICK ORDER PACKAGE 2BE LAREDO E, TRANSMISSION: 8-SPEED AUTOMATIC (850R... Bluetooth, iPod/MP3 Input, 4x4. FUEL EFFICIENT 25 MPG Hwy/18 MPG City!KEY FEATURES INCLUDE4x4, Back-Up Camera, iPod/MP3 Input, Bluetooth, Aluminum Wheels, Keyless Start, Dual Zone A/C, Smart Device Integration, Blind Spot Monitor Rear Spoiler, MP3 Player, Privacy Glass, Keyless Entry, Child Safety Locks.OPTION PACKAGESQUICK ORDER PACKAGE 2BE LAREDO E Engine: 3.6L V6 24V VVT UPG I w/ESS, Transmission: 8-Speed Automatic (850RE), Power 4-Way Driver Lumbar Adjust, Bright Side Roof Rails, Power 8-Way Driver/Manual Passenger Seat, ENGINE: 3.6L V6 24V VVT UPG I W/ESS (STD), TRANSMISSION: 8-SPEED AUTOMATIC (850RE) (STD).VEHICLE REVIEWSGreat Gas Mileage: 25 MPG Hwy.Fuel economy calculations based on original manufacturer data for trim engine configuration. Please confirm the accuracy of the included equipment by calling us prior to purchase. Diamond Black Crystal P/C exterior and Black interior, Laredo E trim. FUEL EFFICIENT 25 MPG Hwy/18 MPG City! Dual Zone A/C, Keyless Start, Blind Spot Monitor, Smart Device Integration, ENGINE: 3.6L V6 24V VVT UPG I W/ESS, Aluminum Wheels, QUICK ORDER PACKAGE 2BE LAREDO E, TRANSMISSION: 8-SPEED AUTOMATIC (850R... BluetoothKEY FEATURES INCLUDE4x4, Back-Up Camera, iPod/MP3 Input, Bluetooth, Aluminum Wheels, Keyless Start, Dual Zone A/C, Smart Device Integration, Blind Spot Monitor Rear Spoiler, MP3 Player, Privacy Glass, Keyless Entry, Child Safety Locks.OPTION PACKAGESQUICK ORDER PACKAGE 2BE LAREDO E Engine: 3.6L V6 24V VVT UPG I w/ESS, Transmission: 8-Speed Automatic (850RE), Power 4-Way Driver Lumbar Adjust, Bright Side Roof Rails, Power 8-Way Driver/Manual Passenger Seat, ENGINE: 3.6L V6 24V VVT UPG I W/ESS (STD), TRANSMISSION: 8-SPEED AUTOMATIC (850RE) (STD). Jeep Laredo E with Diamond Black Crystal P/C exterior and Black interior features a V6 Cylinder Engine with 295 HP at 6400 RPM*.VEHICLE REVIEWSGreat Gas Mileage: 25 MPG Hwy.WHO WE AREBaxter Chrysler Dodge Jeep Ram Bellevue, a full-service car dealership in Bellevue, is your source for new cars, trucks and SUVs both online and in our showroom. We also sell used vehicles and certified pre-owned vehicles. At our 7713 South 19th Circle location, we also provide Mopar parts and auto repair service. We're part of Baxter Auto Group, the largest dealer group in Nebraska.Horsepower calculations based on trim engine configuration. Fuel economy calculations based on original manufacturer data for trim engine configuration. Please confirm the accuracy of the included equipment by calling us prior to purchase. FUEL EFFICIENT 25 MPG Hwy/18 MPG City! iPod/MP3 Input, Bluetooth, ENGINE: 3.6L V6 24V VVT UPG I W/ESS, QUICK ORDER PACKAGE 2BE LAREDO E, Back-Up Camera. Granite Crystal Met. Clear Coat exterior and Black interior, Laredo E trim CLICK NOW!KEY FEATURES INCLUDE4x4, Back-Up Camera, iPod/MP3 Input, Bluetooth, Aluminum Wheels. Rear Spoiler, MP3 Player, Privacy Glass, Keyless Entry, Child Safety Locks.OPTION PACKAGESQUICK ORDER PACKAGE 2BE LAREDO E Engine: 3.6L V6 24V VVT UPG I w/ESS, Transmission: 8-Speed Automatic (850RE), Power 4-Way Driver Lumbar Adjust, Bright Side Roof Rails, Power 8-Way Driver/Manual Passenger Seat, ENGINE: 3.6L V6 24V VVT UPG I W/ESS (STD), TRANSMISSION: 8-SPEED AUTOMATIC (850RE) (STD). Jeep Laredo E with Granite Crystal Met. 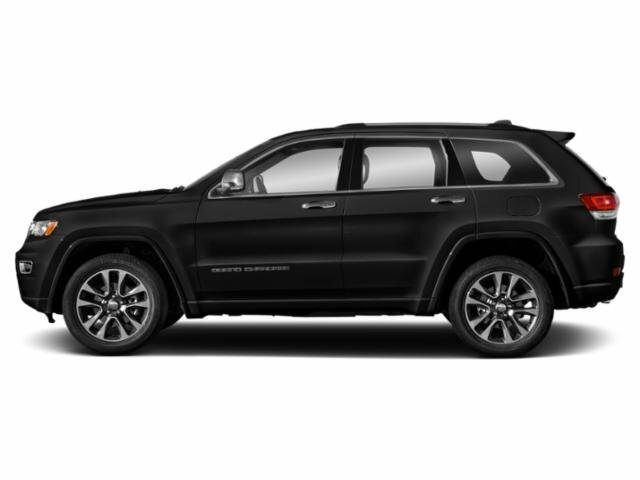 Clear Coat exterior and Black interior features a V6 Cylinder Engine with 295 HP at 6400 RPM*.EXPERTS CONCLUDEEdmunds.com explains The Grand Cherokee is quiet to the point that it's almost serene. We also like the front seats and the quick-acting climate system.. Great Gas Mileage: 25 MPG Hwy.WHY BUY FROM USBaxter Chrysler Dodge Jeep Ram Lincoln, a full-service car dealership in Lincoln, is your source for new cars, trucks and SUVs both online and in our showroom. We also sell used vehicles and certified pre-owned vehicles. At our 6601 Telluride Drive location, we also provide Mopar parts and auto repair service. We're part of Baxter Auto, the largest dealer group in Nebraska.Horsepower calculations based on trim engine configuration. Fuel economy calculations based on original manufacturer data for trim engine configuration. Please confirm the accuracy of the included equipment by calling us prior to purchase. Third Row Seat, Entertainment System, Heated Seats, Power Liftgate, Back-Up Camera, Rear Air, TRANSMISSION: 9-SPEED 948TE AUTOMATIC... Ocean Blue Metallic exterior, Touring Plus trim. FUEL EFFICIENT 28 MPG Hwy/19 MPG City! SEE MORE!KEY FEATURES INCLUDEThird Row Seat, Quad Bucket Seats, Power Liftgate, Rear Air, Back-Up Camera. Rear Spoiler, Power Third Passenger Door, Privacy Glass, Keyless Entry, Remote Trunk Release.OPTION PACKAGESWHEELS: 20 X 7.5 ALUMINUM BLACK NOISE Falken Brand Tires, Tires: 245/50R20 BSW AS (TYK), Locking Lug Nuts, S APPEARANCE PACKAGE Body Color Door Handles, Bridgestone Brand Tires, Premium Fascia Upper/Lower Grille w/Black Surround, S Badge, Wheels: 18 x 7.5 Aluminum Black Noise, Black Spear Rear Fascia Applique, Black Chrysler Grille Wing Badge, Black Badging, Leather Wrapped Steering Wheel, Tires: 235/60R18 BSW AS (TV1), Black Day Light Opening Moldings, COLD WEATHER GROUP Heated Front Seats, Heated Steering Wheel, Leather Wrapped Steering Wheel, BLACK STOW N PLACE ROOF RACK, SINGLE REAR OVERHEAD DVD SYSTEM overhead 10 LCD TFT screen, single-disc DVD player, AUX inputs (HDMI, USB, RCA Jack, video camera, CD, MP3 and video games), 2 headphones and a remote control, TRANSMISSION: 9-SPEED 948TE AUTOMATIC (STD), ENGINE: 3.6L V6 24V VVT UPG I W/ESS (STD).EXPERTS ARE SAYINGGreat Gas Mileage: 28 MPG Hwy.VISIT US TODAYBaxter Chrysler Dodge Jeep Ram Lincoln, a full-service car dealership in Lincoln, is your source for new cars, trucks and SUVs both online and in our showroom. We also sell used vehicles and certified pre-owned vehicles. At our 6601 Telluride Drive location, we also provide Mopar parts and auto repair service. We're part of Baxter Auto, the largest dealer group in Nebraska.Fuel economy calculations based on original manufacturer data for trim engine configuration. Please confirm the accuracy of the included equipment by calling us prior to purchase. 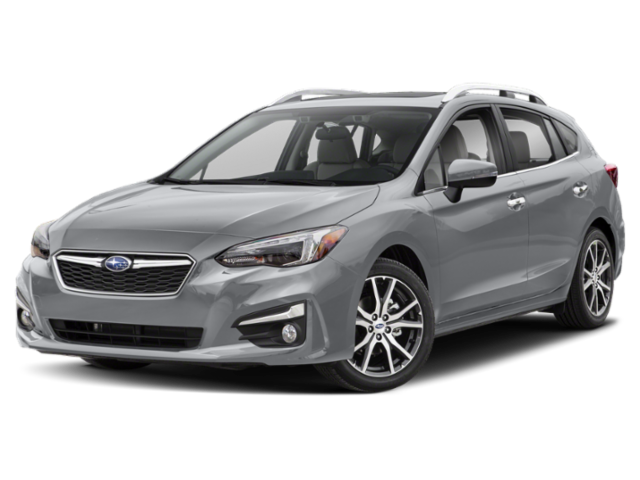 3rd Row Seat, DVD Entertainment System, Heated Seats, Power Liftgate, Back-Up Camera, Rear Air, TRANSMISSION: 9-SPEED 948TE AUTOMATIC... FUEL EFFICIENT 28 MPG Hwy/19 MPG City! Touring Plus trim, Velvet Red Pearl Coat exterior AND MORE!KEY FEATURES INCLUDEThird Row Seat, Quad Bucket Seats, Power Liftgate, Rear Air, Back-Up Camera Rear Spoiler, Power Third Passenger Door, Privacy Glass, Keyless Entry, Remote Trunk Release.OPTION PACKAGESWHEELS: 20 X 7.5 ALUMINUM BLACK NOISE Falken Brand Tires, Tires: 245/50R20 BSW AS (TYK), Locking Lug Nuts, S APPEARANCE PACKAGE Body Color Door Handles, Bridgestone Brand Tires, Premium Fascia Upper/Lower Grille w/Black Surround, S Badge, Wheels: 18 x 7.5 Aluminum Black Noise, Black Spear Rear Fascia Applique, Black Chrysler Grille Wing Badge, Black Badging, Leather Wrapped Steering Wheel, Tires: 235/60R18 BSW AS (TV1), Black Day Light Opening Moldings, COLD WEATHER GROUP Heated Front Seats, Heated Steering Wheel, Leather Wrapped Steering Wheel, BLACK STOW N PLACE ROOF RACK, SINGLE REAR OVERHEAD DVD SYSTEM overhead 10 LCD TFT screen, single-disc DVD player, AUX inputs (HDMI, USB, RCA Jack, video camera, CD, MP3 and video games), 2 headphones and a remote control, TRANSMISSION: 9-SPEED 948TE AUTOMATIC (STD), ENGINE: 3.6L V6 24V VVT UPG I W/ESS (STD).VEHICLE REVIEWSGreat Gas Mileage: 28 MPG Hwy.WHO WE AREBaxter Chrysler Dodge Jeep Ram Lincoln, a full-service car dealership in Lincoln, is your source for new cars, trucks and SUVs both online and in our showroom. We also sell used vehicles and certified pre-owned vehicles. At our 6601 Telluride Drive location, we also provide Mopar parts and auto repair service. We're part of Baxter Auto, the largest dealer group in Nebraska.Fuel economy calculations based on original manufacturer data for trim engine configuration. Please confirm the accuracy of the included equipment by calling us prior to purchase. 3rd Row Seat, DVD, Heated Seats, Power Liftgate, Back-Up Camera, Rear Air, TRANSMISSION: 9-SPEED 948TE AUTOMATIC... COLD WEATHER GROUP. Bright White Clear Coat exterior, Touring Plus trim. FUEL EFFICIENT 28 MPG Hwy/19 MPG City! READ MORE!KEY FEATURES INCLUDEThird Row Seat, Quad Bucket Seats, Power Liftgate, Rear Air, Back-Up Camera. Rear Spoiler, Power Third Passenger Door, Privacy Glass, Keyless Entry, Remote Trunk Release.OPTION PACKAGESWHEELS: 20 X 7.5 ALUMINUM BLACK NOISE Falken Brand Tires, Tires: 245/50R20 BSW AS (TYK), Locking Lug Nuts, S APPEARANCE PACKAGE Body Color Door Handles, Bridgestone Brand Tires, Premium Fascia Upper/Lower Grille w/Black Surround, S Badge, Wheels: 18 x 7.5 Aluminum Black Noise, Black Spear Rear Fascia Applique, Black Chrysler Grille Wing Badge, Black Badging, Leather Wrapped Steering Wheel, Tires: 235/60R18 BSW AS (TV1), Black Day Light Opening Moldings, COLD WEATHER GROUP Heated Front Seats, Heated Steering Wheel, Leather Wrapped Steering Wheel, BLACK STOW N PLACE ROOF RACK, SINGLE REAR OVERHEAD DVD SYSTEM overhead 10 LCD TFT screen, single-disc DVD player, AUX inputs (HDMI, USB, RCA Jack, video camera, CD, MP3 and video games), 2 headphones and a remote control, TRANSMISSION: 9-SPEED 948TE AUTOMATIC (STD), ENGINE: 3.6L V6 24V VVT UPG I W/ESS (STD).EXPERTS REPORTGreat Gas Mileage: 28 MPG Hwy.WHO WE AREBaxter Chrysler Dodge Jeep Ram Lincoln, a full-service car dealership in Lincoln, is your source for new cars, trucks and SUVs both online and in our showroom. We also sell used vehicles and certified pre-owned vehicles. At our 6601 Telluride Drive location, we also provide Mopar parts and auto repair service. We're part of Baxter Auto, the largest dealer group in Nebraska.Fuel economy calculations based on original manufacturer data for trim engine configuration. Please confirm the accuracy of the included equipment by calling us prior to purchase. DVD, Heated Seats, 3rd Row Seat, Power Liftgate, Rear Air, Back-Up Camera, TRANSMISSION: 9-SPEED 948TE AUTOMATIC... COLD WEATHER GROUP. Touring Plus trim, Velvet Red Pearl Coat exterior. FUEL EFFICIENT 28 MPG Hwy/19 MPG City! CLICK NOW!KEY FEATURES INCLUDEThird Row Seat, Quad Bucket Seats, Power Liftgate, Rear Air, Back-Up Camera. Rear Spoiler, Power Third Passenger Door, Privacy Glass, Keyless Entry, Remote Trunk Release.OPTION PACKAGESWHEELS: 20 X 7.5 ALUMINUM BLACK NOISE Falken Brand Tires, Tires: 245/50R20 BSW AS (TYK), Locking Lug Nuts, S APPEARANCE PACKAGE Body Color Door Handles, Bridgestone Brand Tires, Premium Fascia Upper/Lower Grille w/Black Surround, S Badge, Wheels: 18 x 7.5 Aluminum Black Noise, Black Spear Rear Fascia Applique, Black Chrysler Grille Wing Badge, Black Badging, Leather Wrapped Steering Wheel, Tires: 235/60R18 BSW AS (TV1), Black Day Light Opening Moldings, COLD WEATHER GROUP Heated Front Seats, Heated Steering Wheel, Leather Wrapped Steering Wheel, BLACK STOW N PLACE ROOF RACK, SINGLE REAR OVERHEAD DVD SYSTEM overhead 10 LCD TFT screen, single-disc DVD player, AUX inputs (HDMI, USB, RCA Jack, video camera, CD, MP3 and video games), 2 headphones and a remote control, TRANSMISSION: 9-SPEED 948TE AUTOMATIC (STD), ENGINE: 3.6L V6 24V VVT UPG I W/ESS (STD).EXPERTS RAVEGreat Gas Mileage: 28 MPG Hwy.VISIT US TODAYBaxter Chrysler Dodge Jeep Ram Lincoln, a full-service car dealership in Lincoln, is your source for new cars, trucks and SUVs both online and in our showroom. We also sell used vehicles and certified pre-owned vehicles. At our 6601 Telluride Drive location, we also provide Mopar parts and auto repair service. We're part of Baxter Auto, the largest dealer group in Nebraska.Fuel economy calculations based on original manufacturer data for trim engine configuration. Please confirm the accuracy of the included equipment by calling us prior to purchase. DVD Entertainment System, Heated Seats, 3rd Row Seat, Power Liftgate, Rear Air, Back-Up Camera, TRANSMISSION: 9-SPEED 948TE AUTOMATIC... Velvet Red Pearl Coat exterior, Touring Plus trim. FUEL EFFICIENT 28 MPG Hwy/19 MPG City! SEE MORE!KEY FEATURES INCLUDEThird Row Seat, Quad Bucket Seats, Power Liftgate, Rear Air, Back-Up Camera Rear Spoiler, Power Third Passenger Door, Privacy Glass, Keyless Entry, Remote Trunk Release.OPTION PACKAGESWHEELS: 20 X 7.5 ALUMINUM BLACK NOISE Falken Brand Tires, Tires: 245/50R20 BSW AS (TYK), Locking Lug Nuts, S APPEARANCE PACKAGE Body Color Door Handles, Bridgestone Brand Tires, Premium Fascia Upper/Lower Grille w/Black Surround, S Badge, Wheels: 18 x 7.5 Aluminum Black Noise, Black Spear Rear Fascia Applique, Black Chrysler Grille Wing Badge, Black Badging, Leather Wrapped Steering Wheel, Tires: 235/60R18 BSW AS (TV1), Black Day Light Opening Moldings, COLD WEATHER GROUP Heated Front Seats, Heated Steering Wheel, Leather Wrapped Steering Wheel, BLACK STOW N PLACE ROOF RACK, SINGLE REAR OVERHEAD DVD SYSTEM overhead 10 LCD TFT screen, single-disc DVD player, AUX inputs (HDMI, USB, RCA Jack, video camera, CD, MP3 and video games), 2 headphones and a remote control, TRANSMISSION: 9-SPEED 948TE AUTOMATIC (STD), ENGINE: 3.6L V6 24V VVT UPG I W/ESS (STD).EXPERTS RAVEGreat Gas Mileage: 28 MPG Hwy.MORE ABOUT USBaxter Chrysler Dodge Jeep Ram Lincoln, a full-service car dealership in Lincoln, is your source for new cars, trucks and SUVs both online and in our showroom. We also sell used vehicles and certified pre-owned vehicles. At our 6601 Telluride Drive location, we also provide Mopar parts and auto repair service. We're part of Baxter Auto, the largest dealer group in Nebraska.Fuel economy calculations based on original manufacturer data for trim engine configuration. Please confirm the accuracy of the included equipment by calling us prior to purchase. DVD, Heated Seats, 3rd Row Seat, Power Liftgate, Rear Air, Back-Up Camera, TRANSMISSION: 9-SPEED 948TE AUTOMATIC... COLD WEATHER GROUP. Touring Plus trim, Velvet Red Pearl Coat exterior. FUEL EFFICIENT 28 MPG Hwy/19 MPG City! READ MORE!KEY FEATURES INCLUDEThird Row Seat, Quad Bucket Seats, Power Liftgate, Rear Air, Back-Up Camera Rear Spoiler, Power Third Passenger Door, Privacy Glass, Keyless Entry, Remote Trunk Release.OPTION PACKAGESWHEELS: 20 X 7.5 ALUMINUM BLACK NOISE Falken Brand Tires, Tires: 245/50R20 BSW AS (TYK), Locking Lug Nuts, S APPEARANCE PACKAGE Body Color Door Handles, Bridgestone Brand Tires, Premium Fascia Upper/Lower Grille w/Black Surround, S Badge, Wheels: 18 x 7.5 Aluminum Black Noise, Black Spear Rear Fascia Applique, Black Chrysler Grille Wing Badge, Black Badging, Leather Wrapped Steering Wheel, Tires: 235/60R18 BSW AS (TV1), Black Day Light Opening Moldings, COLD WEATHER GROUP Heated Front Seats, Heated Steering Wheel, Leather Wrapped Steering Wheel, BLACK STOW N PLACE ROOF RACK, SINGLE REAR OVERHEAD DVD SYSTEM overhead 10 LCD TFT screen, single-disc DVD player, AUX inputs (HDMI, USB, RCA Jack, video camera, CD, MP3 and video games), 2 headphones and a remote control, TRANSMISSION: 9-SPEED 948TE AUTOMATIC (STD), ENGINE: 3.6L V6 24V VVT UPG I W/ESS (STD).VEHICLE REVIEWSGreat Gas Mileage: 28 MPG Hwy.WHY BUY FROM USBaxter Chrysler Dodge Jeep Ram Lincoln, a full-service car dealership in Lincoln, is your source for new cars, trucks and SUVs both online and in our showroom. We also sell used vehicles and certified pre-owned vehicles. At our 6601 Telluride Drive location, we also provide Mopar parts and auto repair service. We're part of Baxter Auto, the largest dealer group in Nebraska.Fuel economy calculations based on original manufacturer data for trim engine configuration. Please confirm the accuracy of the included equipment by calling us prior to purchase. Moonroof, Heated Leather Seats, PANORAMIC ROOF, Aluminum Wheels, Back-Up Camera, iPod/MP3 Input. XSE trim, CELESTIAL SILVER/MIDNIGHT BLACK METALLIC exterior and BLACK interior. FUEL EFFICIENT 39 MPG Hwy/28 MPG City! READ MORE!KEY FEATURES INCLUDELeather Seats, Heated Driver Seat, Back-Up Camera, Satellite Radio, iPod/MP3 Input. Rear Spoiler, MP3 Player, Onboard Communications System, Aluminum Wheels, Keyless Entry.OPTION PACKAGESPANORAMIC ROOF power tilt/slide moonroof. Toyota XSE with CELESTIAL SILVER/MIDNIGHT BLACK METALLIC exterior and BLACK interior features a 4 Cylinder Engine with 206 HP at 6600 RPM*.EXPERTS RAVEOn the highway, the Camry is comfortable and compliant. The Camry's big, comfortable seats, smooth ride and powerful climate control mean a pleasant experience for passengers of most sizes. -Edmunds.com. Great Gas Mileage: 39 MPG Hwy.VISIT US TODAYLegends Toyota, an award-winning, full-service Toyota dealership, offers new, used and certified pre-owned cars. We're part of Baxter Auto, a Midwest dealer group serving Kansas City, KS, Omaha, NE and Lincoln, NE. At Legends Toyota, we're driven to be the best Toyota dealer in Kansas City. We're conveniently located at 10100 Parallel Parkway, Kansas City, KS 66109, just north of I-70. Shop our inventory online and request an e-price.Horsepower calculations based on trim engine configuration. Fuel economy calculations based on original manufacturer data for trim engine configuration. Please confirm the accuracy of the included equipment by calling us prior to purchase. Heated Seats, iPod/MP3 Input, Bluetooth, ENGINE: 3.2L V6 24V VVT W/ESS, TRANSMISSION: 9-SPEED 948TE AUTO W/AC... COLD WEATHER GROUP, Alloy Wheels. Diamond Black Crystal P/C exterior, Trailhawk trim. EPA 24 MPG Hwy/18 MPG City! SEE MORE!KEY FEATURES INCLUDE4x4, Back-Up Camera, Satellite Radio, iPod/MP3 Input, Bluetooth Rear Spoiler, MP3 Player, Keyless Entry, Privacy Glass, Child Safety Locks.OPTION PACKAGESCOLD WEATHER GROUP Engine Block Heater, Heated Front Seats, Windshield Wiper De-Icer, Heated Steering Wheel, ENGINE: 3.2L V6 24V VVT W/ESS (STD), TRANSMISSION: 9-SPEED 948TE AUTO W/ACTIVE DRIVE II (STD).VEHICLE REVIEWSGreat Gas Mileage: 24 MPG Hwy.MORE ABOUT USBaxter Chrysler Dodge Jeep Ram West Dodge, a full-service car dealership in Omaha, is your source for new cars, trucks and SUVs both online and in our showroom. We also sell used vehicles and certified pre-owned vehicles. At our 17950 Burt Street location, we also provide Mopar parts and auto repair service. We're part of Baxter Auto, the largest dealer group in Nebraska.Fuel economy calculations based on original manufacturer data for trim engine configuration. Please confirm the accuracy of the included equipment by calling us prior to purchase. Heated Seats, iPod/MP3 Input, Bluetooth, ENGINE: 3.2L V6 24V VVT W/ESS, TRANSMISSION: 9-SPEED 948TE AUTO W/AC... Alloy Wheels. FUEL EFFICIENT 24 MPG Hwy/18 MPG City! Trailhawk trim, Billet Silver Metallic Clear Coat exterior CLICK ME!KEY FEATURES INCLUDE4x4, Back-Up Camera, Satellite Radio, iPod/MP3 Input, Bluetooth. Rear Spoiler, MP3 Player, Keyless Entry, Privacy Glass, Child Safety Locks.OPTION PACKAGESCOLD WEATHER GROUP Engine Block Heater, Heated Front Seats, Windshield Wiper De-Icer, Heated Steering Wheel, ENGINE: 3.2L V6 24V VVT W/ESS (STD), TRANSMISSION: 9-SPEED 948TE AUTO W/ACTIVE DRIVE II (STD).EXPERTS RAVEGreat Gas Mileage: 24 MPG Hwy.VISIT US TODAYBaxter Chrysler Dodge Jeep Ram West Dodge, a full-service car dealership in Omaha, is your source for new cars, trucks and SUVs both online and in our showroom. We also sell used vehicles and certified pre-owned vehicles. At our 17950 Burt Street location, we also provide Mopar parts and auto repair service. We're part of Baxter Auto, the largest dealer group in Nebraska.Fuel economy calculations based on original manufacturer data for trim engine configuration. Please confirm the accuracy of the included equipment by calling us prior to purchase. Heated Seats, iPod/MP3 Input, Bluetooth, ENGINE: 3.2L V6 24V VVT W/ESS, TRANSMISSION: 9-SPEED 948TE AUTO W/AC... COLD WEATHER GROUP. Billet Silver Metallic Clear Coat exterior, Trailhawk trim. EPA 24 MPG Hwy/18 MPG City! READ MORE!KEY FEATURES INCLUDE4x4, Back-Up Camera, Satellite Radio, iPod/MP3 Input, Bluetooth Rear Spoiler, MP3 Player, Privacy Glass, Keyless Entry, Child Safety Locks.OPTION PACKAGESCOLD WEATHER GROUP Engine Block Heater, Heated Front Seats, Windshield Wiper De-Icer, Heated Steering Wheel, ENGINE: 3.2L V6 24V VVT W/ESS (STD), TRANSMISSION: 9-SPEED 948TE AUTO W/ACTIVE DRIVE II (STD).EXPERTS ARE SAYINGGreat Gas Mileage: 24 MPG Hwy.WHO WE AREBaxter Chrysler Dodge Jeep Ram Lincoln, a full-service car dealership in Lincoln, is your source for new cars, trucks and SUVs both online and in our showroom. We also sell used vehicles and certified pre-owned vehicles. At our 6601 Telluride Drive location, we also provide Mopar parts and auto repair service. We're part of Baxter Auto, the largest dealer group in Nebraska.Fuel economy calculations based on original manufacturer data for trim engine configuration. Please confirm the accuracy of the included equipment by calling us prior to purchase. Heated Seats, iPod/MP3 Input, Bluetooth, ENGINE: 3.2L V6 24V VVT W/ESS, COLD WEATHER GROUP, TRANSMISSION: 9-SPEED 948TE AUTO W/AC... FUEL EFFICIENT 24 MPG Hwy/18 MPG City! Trailhawk trim, Granite Crystal Met. Clear Coat exterior AND MORE!KEY FEATURES INCLUDE4x4, Back-Up Camera, Satellite Radio, iPod/MP3 Input, Bluetooth Rear Spoiler, MP3 Player, Privacy Glass, Keyless Entry, Child Safety Locks.OPTION PACKAGESCOLD WEATHER GROUP Engine Block Heater, Heated Front Seats, Windshield Wiper De-Icer, Heated Steering Wheel, ENGINE: 3.2L V6 24V VVT W/ESS (STD), TRANSMISSION: 9-SPEED 948TE AUTO W/ACTIVE DRIVE II (STD).VEHICLE REVIEWSThe steering is nicely weighted, feels direct, and even transmits some of the road texture to the driver. Bigger bumps are nicely filtered out. It's well-balanced all around, and there's a good sense of center when driving on the highway. -Edmunds.com. Great Gas Mileage: 24 MPG Hwy.BUY FROM AN AWARD WINNING DEALERBaxter Chrysler Dodge Jeep Ram West Dodge, a full-service car dealership in Omaha, is your source for new cars, trucks and SUVs both online and in our showroom. We also sell used vehicles and certified pre-owned vehicles. At our 17950 Burt Street location, we also provide Mopar parts and auto repair service. We're part of Baxter Auto, the largest dealer group in Nebraska.Fuel economy calculations based on original manufacturer data for trim engine configuration. Please confirm the accuracy of the included equipment by calling us prior to purchase. Heated Seats, iPod/MP3 Input, Bluetooth, ENGINE: 3.2L V6 24V VVT W/ESS, COLD WEATHER GROUP, Alloy Wheels, Satellite Radio. Trailhawk trim, Light Brownstone Pearl Coat exterior and Black interior. EPA 24 MPG Hwy/18 MPG City! CLICK ME!KEY FEATURES INCLUDE4x4, Back-Up Camera, Satellite Radio, iPod/MP3 Input, Bluetooth. Rear Spoiler, MP3 Player, Privacy Glass, Keyless Entry, Child Safety Locks.OPTION PACKAGESCOLD WEATHER GROUP Engine Block Heater, Heated Front Seats, Windshield Wiper De-Icer, Heated Steering Wheel, ENGINE: 3.2L V6 24V VVT W/ESS (STD), TRANSMISSION: 9-SPEED 948TE AUTO W/ACTIVE DRIVE II (STD). 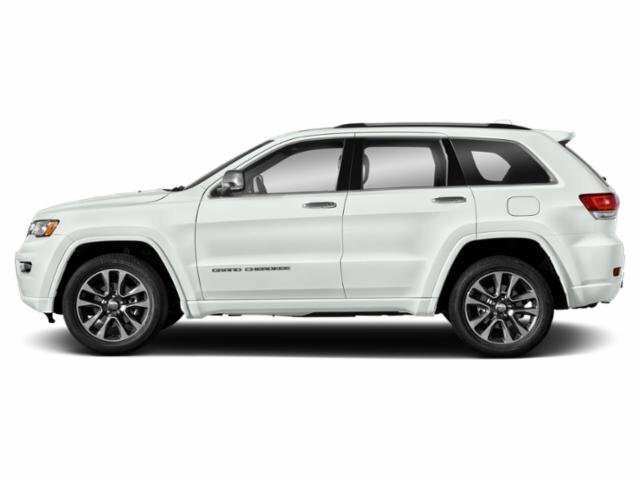 Jeep Trailhawk with Light Brownstone Pearl Coat exterior and Black interior features a V6 Cylinder Engine with 271 HP at 6500 RPM*.EXPERTS ARE SAYINGThe steering is nicely weighted, feels direct, and even transmits some of the road texture to the driver. Bigger bumps are nicely filtered out. It's well-balanced all around, and there's a good sense of center when driving on the highway. -Edmunds.com. Great Gas Mileage: 24 MPG Hwy.WHY BUY FROM USBaxter Chrysler Dodge Jeep Ram Lincoln, a full-service car dealership in Lincoln, is your source for new cars, trucks and SUVs both online and in our showroom. We also sell used vehicles and certified pre-owned vehicles. At our 6601 Telluride Drive location, we also provide Mopar parts and auto repair service. We're part of Baxter Auto, the largest dealer group in Nebraska.Horsepower calculations based on trim engine configuration. Fuel economy calculations based on original manufacturer data for trim engine configuration. Please confirm the accuracy of the included equipment by calling us prior to purchase. Heated Seats, iPod/MP3 Input, Bluetooth, ENGINE: 3.2L V6 24V VVT W/ESS, TRANSMISSION: 9-SPEED 948TE AUTO W/AC... 4x4. FUEL EFFICIENT 24 MPG Hwy/18 MPG City! Velvet Red Pearl Coat exterior and Black interior, Trailhawk trim READ MORE!KEY FEATURES INCLUDE4x4, Back-Up Camera, Satellite Radio, iPod/MP3 Input, Bluetooth Rear Spoiler, MP3 Player, Privacy Glass, Keyless Entry, Child Safety Locks.OPTION PACKAGESCOLD WEATHER GROUP Engine Block Heater, Heated Front Seats, Windshield Wiper De-Icer, Heated Steering Wheel, ENGINE: 3.2L V6 24V VVT W/ESS (STD), TRANSMISSION: 9-SPEED 948TE AUTO W/ACTIVE DRIVE II (STD). Jeep Trailhawk with Velvet Red Pearl Coat exterior and Black interior features a V6 Cylinder Engine with 271 HP at 6500 RPM*.VEHICLE REVIEWSGreat Gas Mileage: 24 MPG Hwy.BUY FROM AN AWARD WINNING DEALERBaxter Chrysler Dodge Jeep Ram Lincoln, a full-service car dealership in Lincoln, is your source for new cars, trucks and SUVs both online and in our showroom. We also sell used vehicles and certified pre-owned vehicles. At our 6601 Telluride Drive location, we also provide Mopar parts and auto repair service. We're part of Baxter Auto, the largest dealer group in Nebraska.Horsepower calculations based on trim engine configuration. Fuel economy calculations based on original manufacturer data for trim engine configuration. Please confirm the accuracy of the included equipment by calling us prior to purchase. Heated Seats, iPod/MP3 Input, Bluetooth, ENGINE: 3.2L V6 24V VVT W/ESS, TRANSMISSION: 9-SPEED 948TE AUTO W/AC... Light Brownstone Pearl Coat exterior and Black interior, Trailhawk trim. FUEL EFFICIENT 24 MPG Hwy/18 MPG City! SEE MORE!KEY FEATURES INCLUDE4x4, Back-Up Camera, Satellite Radio, iPod/MP3 Input, Bluetooth Rear Spoiler, MP3 Player, Privacy Glass, Keyless Entry, Child Safety Locks.OPTION PACKAGESCOLD WEATHER GROUP Engine Block Heater, Heated Front Seats, Windshield Wiper De-Icer, Heated Steering Wheel, ENGINE: 3.2L V6 24V VVT W/ESS (STD), TRANSMISSION: 9-SPEED 948TE AUTO W/ACTIVE DRIVE II (STD). Jeep Trailhawk with Light Brownstone Pearl Coat exterior and Black interior features a V6 Cylinder Engine with 271 HP at 6500 RPM*.EXPERTS RAVEGreat Gas Mileage: 24 MPG Hwy.MORE ABOUT USBaxter Chrysler Dodge Jeep Ram Lincoln, a full-service car dealership in Lincoln, is your source for new cars, trucks and SUVs both online and in our showroom. We also sell used vehicles and certified pre-owned vehicles. At our 6601 Telluride Drive location, we also provide Mopar parts and auto repair service. We're part of Baxter Auto, the largest dealer group in Nebraska.Horsepower calculations based on trim engine configuration. Fuel economy calculations based on original manufacturer data for trim engine configuration. Please confirm the accuracy of the included equipment by calling us prior to purchase.